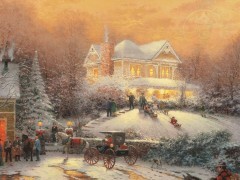 Our fine art galleries in the Monterey Bay area offer a variety of Thomas Kinkade prints on wood. We are excited to bring you the favorite scenes you have grown to love in a new, fashionable form. 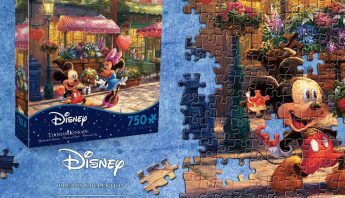 Perfect for collecting and displaying in groups, these pieces make great gifts. These special pieces are printed on sustainable wood birch using UV cured ink in order to bring out stunning, vibrant color. 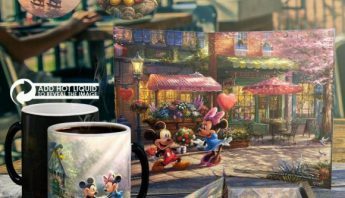 These wooden prints are perfect for bringing charm and color to either your home or office. 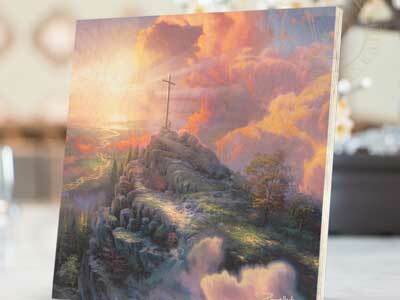 Thomas Kinkade Prints on Wood re-imagines Thom’s Artwork onto a new medium. 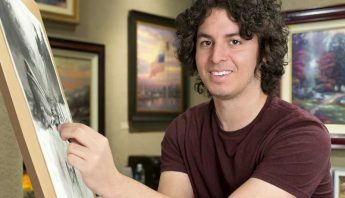 Advancements in printing technologies have made it possible to print high-quality artwork on formats that have never been possible before and among them, wood has become one of the most popular. Paintings on wood are durable and beautiful and come in an 8″ x 8″ size. 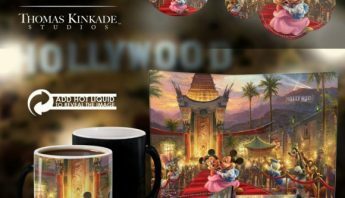 No frame is needed for Thomas Kinkade wood artwork. 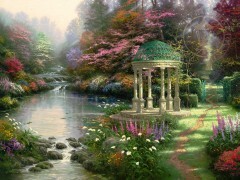 In Garden of Prayer, you can imagine this in this scene of the gazebo and garden, man in a garden was closer to his creator. The third and final piece in the End of a Perfect Day collection celebrates the majesty of God’s creation. 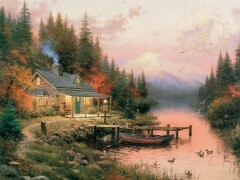 A cozy cabin is nestled at the foot of the mountains by a nearby stream. The Cross was designed for Billy Graham for his library in Charlotte, North Carolina. 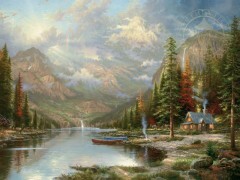 It features a heavenly light pouring out upon the mountains. 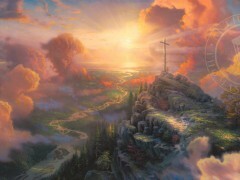 The most distinct feature in the painting is of course, the cross, from which came the simple yet fitting name. 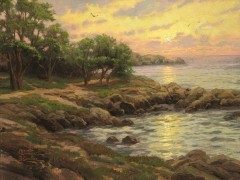 Sunset on Monterey Bay reflects Thomas Kinkade’s special fondness for sunsets over the ocean. Victorian Christmas IItakes us back in time. 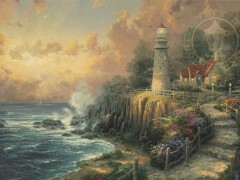 The inspiration behind the Light of Peace is the moment after the storm where peace returns to land and sea. 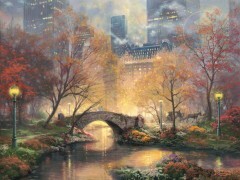 The beauty and colors of fall are showcased in Central Park in the Fall. New York City provides a dramatic background. 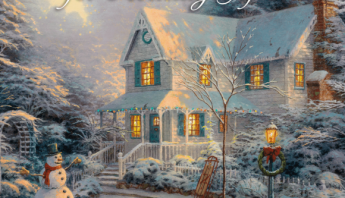 Bring the beauty and majesty of the outdoors indoors with a Thomas Kinkade print on wood. 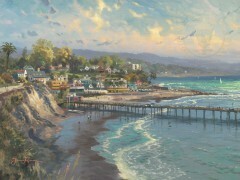 Visit our art galleries in the Monterey Bay area to view these beautiful pieces for yourself. 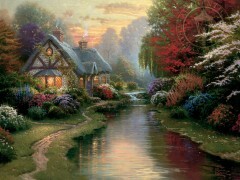 Our Art Consultants will be happy to find the Kinkade artwork that is just right for you.